Enjoy making or drinking wine? Want to meet new people? Come to Airedale’s wine and beer enthusiasts club! Marian Jan Krupa (1922-2009) came to live in Cottingley with his second wife, who had lived in the village most of her life, and their two-year-old son. He was born in Krakow, Poland, and his experiences after leaving there in 1939 until his arrival in England in 1943 were traumatic. Here we continue his story. By Margaret Krupa. In December’s Bingley Rural, Councillor Caunt reminded us that Wilsden Pharmacy has occupied 200 Main Street for 78 years. That is only the more recent history of a pharmacy, or chemist’s shop as they were formerly known, serving this community from a convenient spot in the main street. By Astrid Hansen. 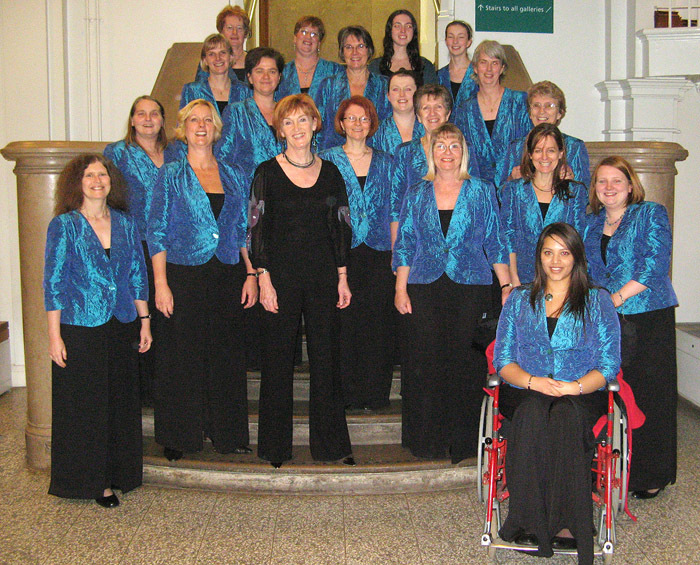 Opus 44, the Bingley-based award-winning female voice choir, has been fortunate enough to engage Robert Latham to lead an exciting choral workshop which is open to all female singers who want to improve their ability to sing, widen their repertoire and to have fun. Robert is a nationally recognised authority on upper-voice choral technique. Join in the Cancer Support Silver Jubilee Big Brew! Last year the local community hosted and attended BIG BREW coffee mornings, afternoon teas, cake sales and workplace events, raising funds to help provide FREE support services to over 3,500 patients and their families. When Mrs Susan MacDonald fell ill on the night before she was due to help in our Poppy Shop, she was worried as to how we would manage. But she did not reckon on Molly, her 10-year-old daughter. Winter Nets: This year’s nets start on Thursday 21st February, 8-9pm at Bradford & Bingley Cricket Club, Wagon Lane, Bingley. All welcome. An opportunity to meet friends, chill out, drink great coffees (cappuccino, latte, americano etc.) and enjoy amazing home-baked cakes – as well as discussing a short thought-provoking video. Bradford Cat Rescue urgently needs donations.